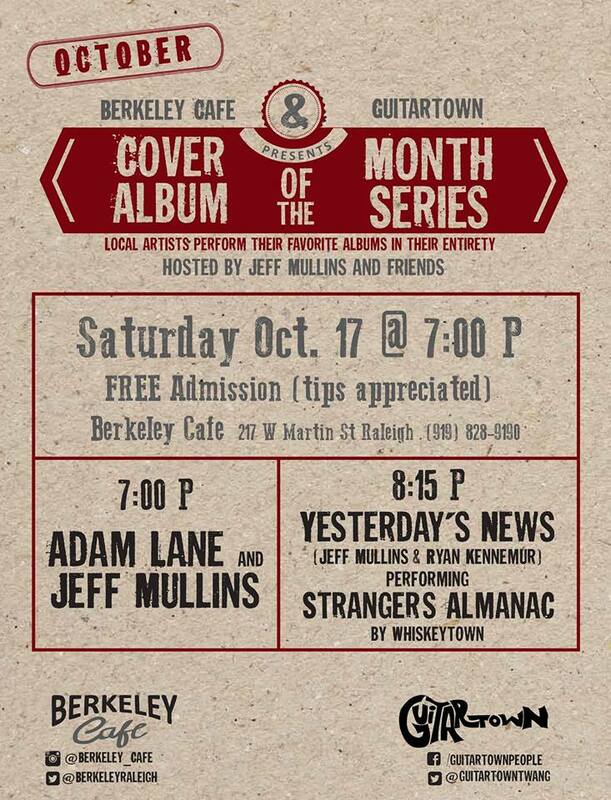 I’m bummed to be missing Saturday night’s Yesterday’s News/Strangers Almanac show back home at Raleigh’s Berkeley Cafe. But I’ll be in a fun place, Austin for the Texas Book Festival, and at least there will be something decent to watch on TV that same night — “Comin’ Right at Ya” subject/star/co-writer Ray Benson playing on “Austin City Limits” with Asleep at the Wheel, alongside Sturgill Simpson plus guests including the Avett Brothers (with whom the Wheel will play on New Year’s Eve), Amos Lee and various Texas Playboys. That’s cool, even if the timing of it is pretty ironic for yours truly: The book festival brings me to Ray’s hometown on the same weekend he’s on a television program I would have been able to watch from anywhere in the country. The Wheel and “ACL” go all the way back to the show’s very beginnings, episode no. 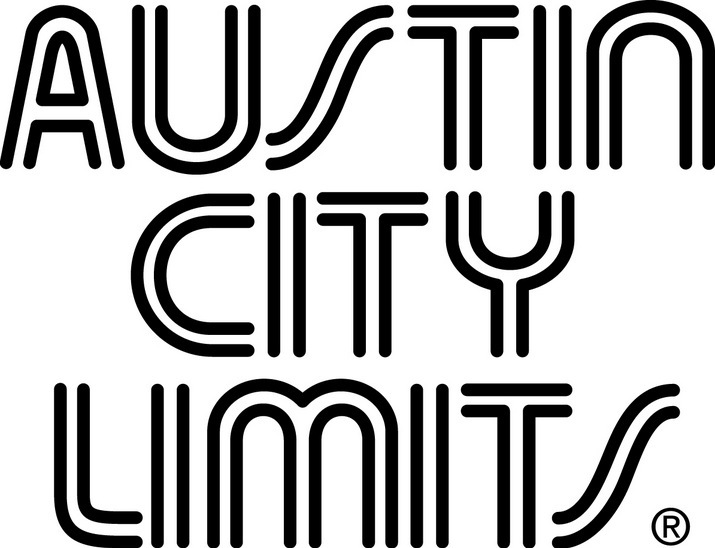 1 in 1976 (after Willie Nelson played the pilot), and the group has been on it enough times since over the years to be inducted into the “Austin City Limits” Hall of Fame this past June. Anyway, check here to find exactly when and where in your area it will air. Here in Austin, looks like it’s on at 7 p.m. local time on public station KLRU-TV. And in the Raleigh/Durham vicinity, it comes on at midnight Saturday on UNC-TV. As noted in the “Losering” preface, my story with Ryan Adams began at downtown Raleigh’s Berkeley Cafe, where I sat down to interview him after a show more than 20 years ago and things went kind of disastrously awry — a fitting metaphor for the whole story. The Berkeley has changed a good bit over the past two decades, shrinking down to just the Cafe space after the music hall was converted to a pipe/tobacco shop two years ago. But it remains a live-music venue; and with ownership by veterans of the late, lamented Sadlack’s, it’s still a repository of cool, funky vibes of old. All of which is to say it’s fitting that the Berkeley will be the site of a very intriguing show this weekend, aimed at those with fond memories of Raleigh’s Whiskeytown era. As part of Guitartown’s “Cover Album of the Month” series, Jeff Mullins and Ryan Kennemur will perform Whiskeytown’s 1997 magnum opus Strangers Almanac on Saturday night under the name Yesterday’s News. And as you can see from the poster, it’s even free (although donations are encouraged). Ordinarily, I would not miss this for the world. Unfortunately, however, it falls on the same weekend as the Texas Book Festival in Austin, Texas. So I’m afraid that being there in spirit will have to do, but you should go. UPDATE (10/20/2015): And here is how it went. It’s been close to nine months since the last time we checked in on the site of the late, lamented Sadlack’s, the old Hillsborough street watering hole where Ryan Adams and Whiskeytown formed more than two decades ago. 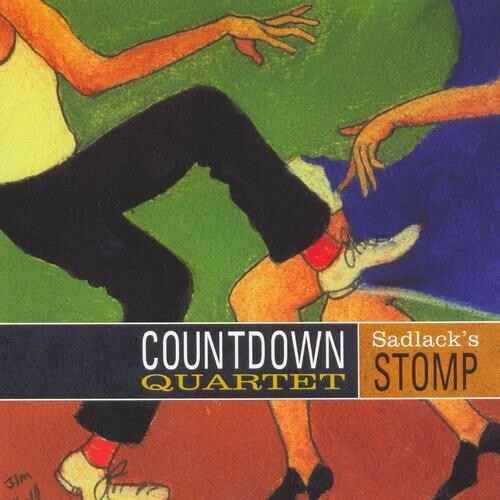 Done in by Raleigh’s ongoing real-estate boom, Sadlack’s closed for the last time in the wee small hours of Jan. 1, 2014, following an epic New Year’s Eve show; fittingly, it fell to the Backsliders to do last-rites honors. The lot was soon fenced in and the building boarded up, but it didn’t go under the wrecking ball until May 2014. 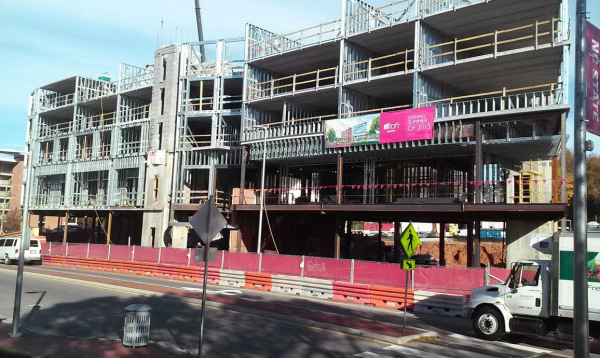 And since then, a 135-room Aloft Hotel has been under construction on the site. In the upper right is what it looked like last November and below is what it looks like today, close enough to opening day that a “NOW HIRING” banner is already up. For the past year or so, two key Raleigh venues from Ryan Adams’ Whiskeytown-era “Losering” story have had figurative swords hanging over them. That’s the Berkeley Cafe and Sadlack’s Heroes, both of which were seemingly doomed. Three months ago, the odds of continued survival didn’t look good for either place. Then when the Berkeley announced it was about to “close for remodeling,” it was hard not to assume the worst. In a delightfully improbable turn of events, however, I am happy to report that the Berkeley and Sadlack’s are joining forces in a union that makes all the sense in the world. In the near term, the Berkeley will still close for remodeling at the end of this week, and Sadlack’s is still scheduled to shut down at the end of this year. But come January, the Berkeley will reopen under new management: Sadlack’s owner Rose Schwetz has bought the Berkeley and is going to spend the next three months overseeing a large-scale remodel that will (I hope) combine the best aspects of these two famous blue-collar dives. When the new Berkeley opens its doors, yes, the Ryan Adams/Whiskeytown artifacts on the walls of Sadlack’s will be there. But that’s assuming that Rose can hang onto them in the meantime. This weekend saw the closing of the Berkeley Cafe music hall, one of Whiskeytown’s key venues from the mid-1990s period that “Losering” covers. And while I’m sad to see it go, at least the joint went out in style. 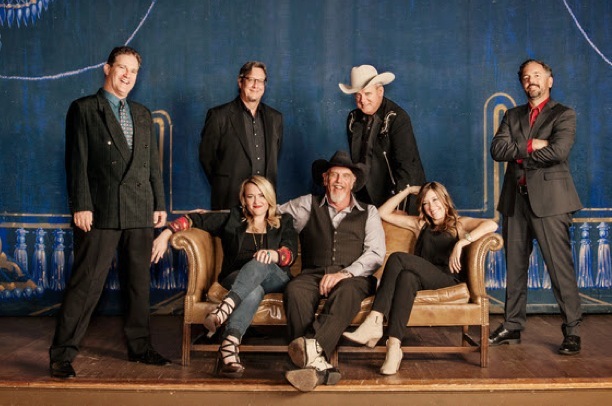 Chapel Hill roots-rock icons Southern Culture on the Skids, who already qualified as venerable during Whiskeytown’s heyday and are still going strong almost two decades later, blew the roof off with a last-waltz performance that went long into the wee hours of Sunday morning. I was there to do a report for the paper, which is here. 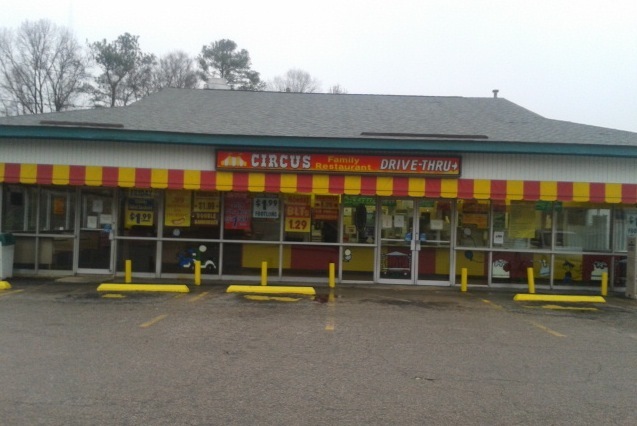 Meanwhile, things are still up in the air with another “Losering”-era landmark in Raleigh, Sadlack’s. 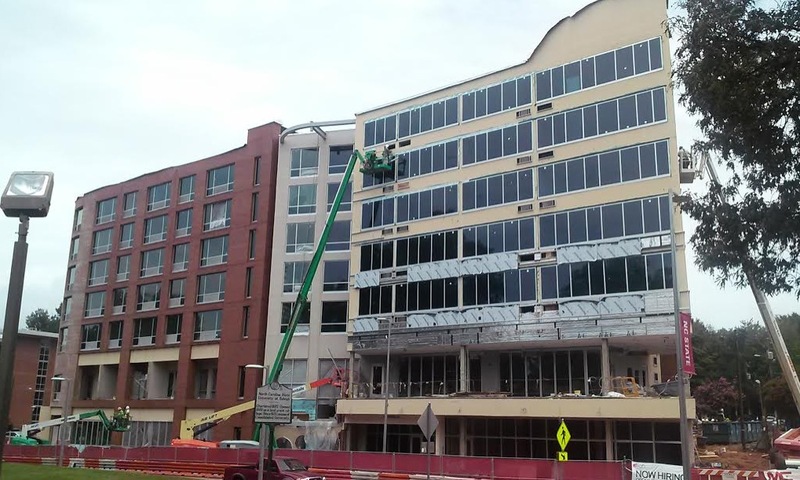 The previously announced June 1 deadline for finding a new location came and went without any news, and it’s still open on Hillsborough Street across from the NC State Belltower. All sorts of tantalizing rumors have been floating around town about possible spots for a relocated Sadlack’s, but owner Rose Schwetz was still mum when I did one of my regular check-ins on Friday afternoon. That statement seems in line with the sign below, which has been on the wall at Sadlack’s for a couple of weeks now. If anything changes, you’ll be the first to know. Well, heck. Not only are Sadlack’s days numbered, but Raleigh is about to lose yet another music room where some key events in the Ryan Adams “Losering” story happened. The big music hall at the Berkeley Cafe will be no more after June 30, closing to make way for a tobacco shop (and no, that is not a typo). Well, at least the adjoining cafe space is staying open, and it will continue doing live music. But it will have less than half the capacity of the music hall, which has a legal capacity of 200 and comfortably holds tons more than that. I’m bummed. Check the story on it here. More than one reader has remarked on how Raleigh is almost like another character in “Losering,” which I’m always happy to hear. I’m proud of the book as a document not just of Ryan, but of the scene and era he emerged from. To that end, I thought I’d show you around a bit with a tour of some of the places in Ryan’s old hometown where various events in the story happened. So come with me on a whirlwind journey through the past, as we wander through Raleigh down Faithless Street toward…Whiskeytown. 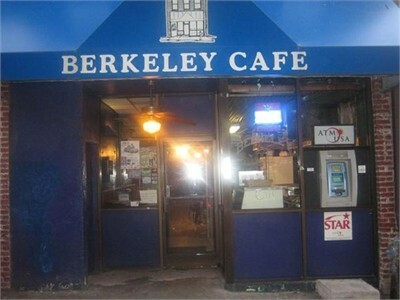 Berkeley Cafe (317. W. Martin St.) — This was where my story with Ryan literally began. As recounted in the preface, it’s the first place I ever sat down to interview him way back in 1995. The Berkeley has been around since the early ’80s, and it’s a lot longer on funky charms than creature comforts. But those charms are more than enough. I still see music at the Berkeley on a regular basis, including a show by Caitlin Cary’s Tres Chicas in early November and my 17-year-old son Aaron’s new punk band’s public debut earlier this month; and I have lunch there almost every week with my pal Scott Huler. It’s still one of my favorite Raleigh dives, conveniently located just down the street from the News & Observer’s office. Daisy Street house (6 Daisy St.) — This bungalow where Ryan lived with Tom Cushman in the early ’90s served as the setting for much of Chapter three’s events, including the numerous bands they formed and the near-conflagration that yielded up the song “Burning Bed.” Daisy is just one block long, and the house in question is the first one on the right after you turn onto the street from Hillsborough and pass Cup A Joe. It’s a stone’s throw from the Brewery and walking distance from Ryan’s then-place of employment, the Rathskeller at 2412 Hillsborough (which closed years ago and is now the site of a much-plusher eatery called Porter’s Tavern). The Brewery (3009 Hillsborough St.) — When I think “mid-’90s Whiskeytown show,” the Brewery is the place that comes to mind because I saw more Whiskeytown shows there than anywhere else. I’ve got plenty of personal Brewery history myself. When I interviewed for the N&O’s rock-writer job in December 1990, the Brewery was the first club in Raleigh where I saw a show; Rev. Billy C. Wirtz, and it was lots of fun. Yes, the joint was a dive, but also the best-sounding room in town (thank you Jac Cain, soundman to the stars). The Brewery was kind of the CBGB of mid-’90s alternative country, which was handy because I lived just a block away back then. Brewery lore includes a fantastic live EP that the Backsliders recorded there; some scenes in the underrated 1996 movie “Bandwagon”; and Tres Chicas citing the women’s bathroom as the place they formed. Alas, the Brewery’s been gone since August 2011, when it was torn down to make way for a retail/residential development that will probably never be built — going on a year and a half later, it’s still a dirt parking lot. Two of the N&O’s photographers did a really cool video of the building being demolished, set to a recording of Ryan and Caitlin singing “Heart Is Broken” onstage at the Brewery in October 1999 (a show described in Chapter 11). Comet Lounge (3003 Hillsborough St.) — One of Ryan’s favorite watering holes back in the day, a dark-walled joint that was made for consumption more than socializing. The Comet is enshrined in the lyrics of the Strangers Almanac song “Yesterday’s News”: “See you at the Comet.” The Brewery stood right next door to the Comet and they were connected by an adjoining breezeway, which was a big hangout during marathon events like the annual roots-rock blowout S.P.I.T.T.L.E. Fest. The two buildings’ proximity made possible hilarious incidents like Ryan wandering over to the Comet for a mid-set drink while Caitlin was singing “Matrimony” onstage at the Brewery (see Chapter five). And the Comet was also the site of a memorably alcohol-fueled interview I conducted with Ryan on the eve of Strangers’ release in 1997 (see Chapter seven). 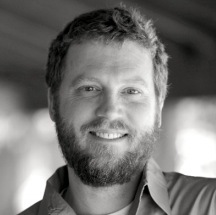 Back in the day, both the Comet and Brewery were partly owned by Van Alston, co-writer of two songs on Heartbreaker including “Come Pick Me Up.” But Van sold his interest in the Comet long ago, and in recent years it’s been a bar called Katmandu. 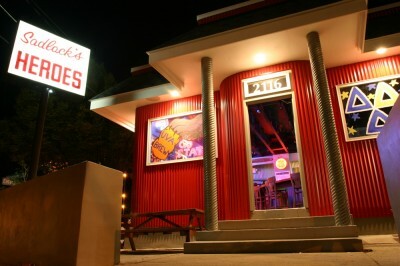 Sadlack’s (2116 Hillsborough St.) — Another of Ryan’s old workplaces and one of Raleigh’s most beloved institutions, with a colorful barfly vibe. Sadlack’s was also the birthplace of Whiskeytown, which came together in the fall of 1994 as an assemblage of Sadlack’s employees and regulars — see Chapter four. Sadlack’s is still open in the shadow of NC State’s belltower, with a vintage Whiskeytown flyer hanging in a frame on a wall across from the bar. 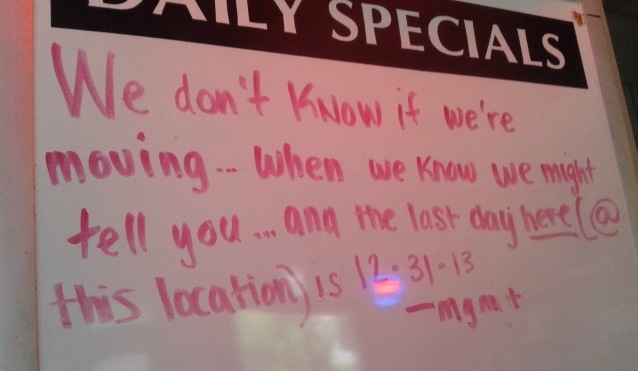 But there’s no telling how much longer it will be around. The entire block (which is also the current site of Schoolkids, one of the last independent record stores in the area) has been condemned for a huge 250-room hotel, although it’s not clear when construction will begin; probably sometime in 2013. Sadlack’s owner Rose Schwetz was trying to relocate a few blocks up Hillsborough Street — in the vicinity of the old Rathskeller space, ironically enough — but negotiations fell through. “I’m planning on just staying here for as long as I can, until the bulldozers come and make me leave,” she told me in November 2012. I hope that won’t be for a long time.